The Prince George Cougars feel they are trending up. During a season in which 14 of 22 WHL teams saw a decrease in attendance, the Cougars’ attendance improved for a third straight season. This season, their average announced home attendance was 3,626, an increase of 504 over last season. In 2014-15 that number was 2,852. The Cougars have added a lot to their game-night package and feel that it’s working. The Cougars open the playoffs at home on Friday against the Portland Winterhawks. And it’ll be a Mega Jackpot night, meaning the 50/50 draw starts at $20,000, with the first 2,000 adults through the door each to be given a $10 strip of tickets. This season’s announced attendance was the best since it hit 4,386 in 2002-03. The Prince George single-season record is 5,801 (1999-2000). This season, according to figures compiled by the WHL, it drew 3,543,688 fans to its games, an average of 4,474. That’s down 61 per game from last season. 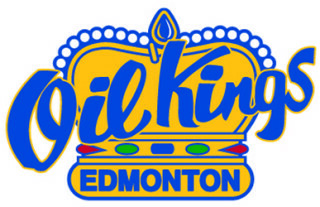 The WHL’s attendance got a boost this season from the Edmonton Oil Kings. Despite being a non-playoff team that cashed its chips at the trade deadline, the Oil Kings, buoyed by a new arena, drew a WHL-leading 340,605 fans, for an average of 9,461. That is the second-highest single-season attendance total in WHL history. Last season, Edmonton’s average was 6,838. The last time a team other than the Calgary Hitmen led the WHL in attendance was in 2006-07 when the Vancouver Giants were No. 1. Calgary now has had eight of the top nine single-season attendance totals, the record (362,227) having been set in 2004-05. The Oil Kings now slide into the No. 2 slot with this season’s total, ahead of the 2010-11 Hitmen, who drew 334,812 fans. But the Oil Kings’ success was kind of balanced by decreases in Vancouver, Portland, Red Deer and Calgary. Of course, Red Deer got a bump last season as the Memorial Cup host, so this season’s drop likely wasn’t a surprise. It may not be a surprise that the Kootenay Ice is last for a second straight season, this time with an average of 1,754, down 203 from the previous season. The Ice twice has had an average attendance lower than that, but in both seasons (1998-99 and 1999-2000) it was playing in the old building. If you eliminate those two seasons, the only time since 1996-97, when the WHL began compiling attendance fitures, that a WHL team has had an average attendance lower than 1,754 was in 2013-14 when Prince George’s number was 1,693. It may seem a distant memory but the Ice began life in the new building in Cranbrook by drawing more than 3,000 fans per game in seven of nine seasons. In 2000-01, the Ice’s first season in what now is Western Financial Place, the average announced attendance was 3,635, almost 2,000 per game higher than what the Ice drew this season. The Ice last averaged more than 3,000 fans in 2008-09, when that number was 3,071. This season, 10 of the 22 teams showed a minuscule increase or decrease, going up or down by fewer than 100 fans per game.